UNIVERSAL LIFELINE: Even Stephen Hawking has warned against connecting with extraterrestrial life forms. If extraterrestrial civilizations exist in our galaxy—and there are good reasons to think they do—it's probably a good idea to mind our own business and hope they do the same. There seems to be plenty of available real estate for extraterrestrials to live on. In the past few years, astronomers have identified over 500 planets circling nearby stars. Extrapolating these findings, it is likely that tens of trillions of planets revolve around the hundreds of billions of stars that make up our home galaxy. Trillions of these planets could have Earth-like characteristics; i.e., rocky with liquid water. In a 2008 article in the journal Astrobiology, University of East Anglia researcher Andrew Watson calculated the probability that intelligent life will emerge on Earth-like planets is quite low (less than 0.01 percent over 4 billion years). However, if there are a trillion Earth-like planets in the galaxy, that would imply that intelligent life could arise on roughly 10 million of them. Or, if that's too high, cut the figure down by a factor of 10, to just 1 million planets inhabited by intelligent aliens. Americans are open to the existence of extraterrestrial civilizations. A 2008 Scripps Howard News Service poll found that 56 percent of Americans believe that intelligent life exists on other planets, and more than one-third think that aliens have already visited Earth. In 1960, Project Ozma used a radio telescope to search for artificial transmissions from nearby stars. In November 2010, astronomers from 12 countries celebrated the 50th anniversary of SETI (the Search for Extra-Terrestrial Intelligence) using new instruments, including the Allen Telescope Array, that dramatically increase the rate at which stars can be surveyed for signals produced by technologically advanced civilizations. Since 1999, the SETI@home project has involved hundreds of thousands of volunteers who process radio telescope data on their home computers searching for signals. So far, the sky searches have turned up nothing. So why the "Great Silence"? Or as Manhattan Project physicist Enrico Fermi quipped over lunch in 1950, "Where are they?" In 1980, physicist Frank Tipler proposed a scenario in which alien civilizations would launch fleets of self-replicating machines possessing human-level intelligence to explore the galaxy. The machines would arrive in a new star system and immediately start to populate it with duplicates of themselves and launch the next wave of explorers. Tipler calculated that once launched, such machines would inhabit every solar system in the galaxy within 300 million years. Since there is no evidence for such an ever-expanding fleet of self-replicating machines, Tipler concluded, "Extraterrestrial intelligent beings do not exist." In 1983, astronomer Carl Sagan and geophysicist William Newman countered Tipler's "solipsistic" conclusion arguing, among other things, that intelligent aliens might refrain from constructing fleets of self-replicators because such machines might turn on their creators. In addition, Sagan and Newman suggested that advanced aliens might have "much more exciting and fulfilling objectives . . . than strip-mining or colonizing every planet in sight." Then Sagan and Newman turned Pollyannaish proposing that aggressive mean-spirited aliens would conveniently kill themselves off leaving only benevolent civilizations "pre-adapted to live with other groups in mutual respect." Moreover, they suggested, "We think it is possible that the Milky Way is teeming with civilizations that are far beyond our level of advance as we are beyond the ants; and paying us about as much attention as we pay to the ants." Never mind how thoughtlessly we walk over anthills as we go about our daily tasks. George Mason University economist Robin Hanson took Tipler's arguments seriously but laid out a scenario in which a wave of exploration by aliens would hop through our region of the galaxy only temporarily occupying the more favorable oases before pushing on, followed by a more sedentary wave later. We just happen to be living in a solar system that the first wave skipped over and which the second wave has not yet reached. Let's assume SETI is successful and we detect the existence of an extraterrestrial civilization. What effect would such a discovery have on humanity? When we contemplate extraterrestrials we see ourselves; they are mirrors reflecting humanity's hopes and fears. On the side of hope, many see E.T.s as benevolent saviors from our worst natures; on the fear side, they reflect our worst natures. Sagan and Newman believed of extraterrestrials that "it is highly likely that their intentions are benign and their sensitivities about societies at our level of technological adolescence delicate." Apparently, aliens obey the Prime Directive as formulated by the TV series Star Trek in which advanced civilizations don't interfere with primitive cultures. In Sagan's 1985 sci-fi novel Contact, aliens were portrayed as wise teachers who want to help humanity explore the hidden meanings inscribed in the very structure of the universe. Tipler pondered the idea that the "biological exclusion" principle might apply to encounters with aliens, the upshot being that two intelligent species cannot co-exist because they would both be competing for the same resources. If one species had even a slight advantage over the other, it would out-compete the second one. In fact, it has been suggested that this is what happened when Neanderthals and modern humans came in contact, with the consequence that Neanderthals are now extinct. More recently, Cambridge University physicist Stephen Hawking warned that if we detect intelligent aliens, we should be "wary of answering back, until we have developed a bit further." Why? "Meeting a more advanced civilization, at our present stage, might be a bit like the original inhabitants of America meeting Columbus," explained Hawking. "I don't think they were better off for it." Even if Sagan and Newman are correct that the galaxy is populated with saintly super-advanced intelligences, it is puzzling that no one has so far found any physically detectable astronomical evidence of their existences. Hanson also noted that our instruments should be able to detect some evidence for his postulated colonizing wave front as it progressed by converting matter and energy around various stars. There is, however, another possible explanation for this absence of evidence for extraterrestrial civilizations—intelligence could be toxic. 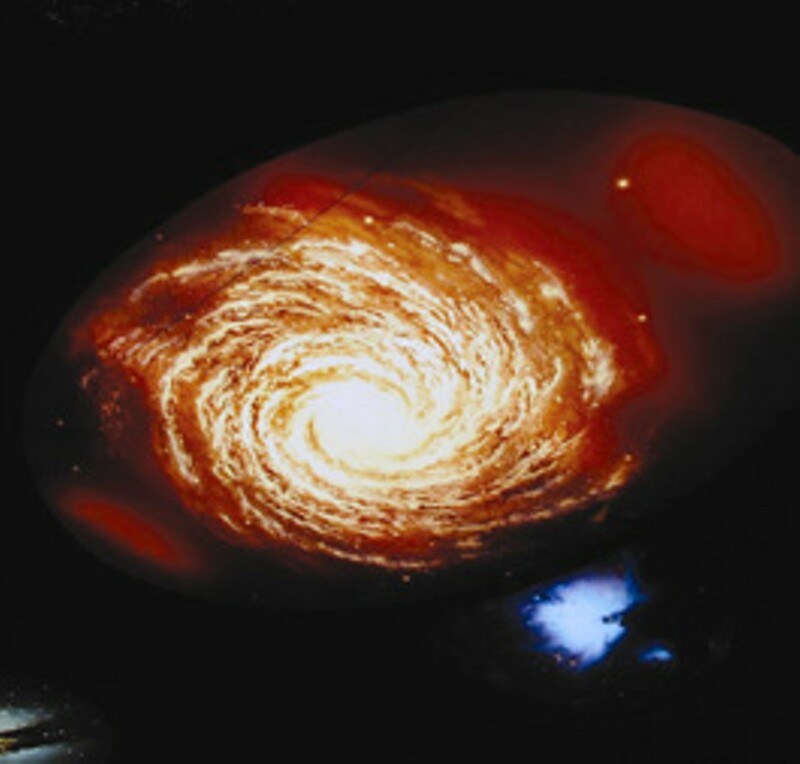 In 1996, Hanson formulated the idea that there is a "Great Filter" that somehow reduces the chances that a civilization can reach the stars before going extinct. The question then becomes whether the Great Filter is behind us or ahead of us. It might turn out that evolving life is highly improbable, which would suggest that the filter is behind us and that we are alone in the universe. Of course, finally detecting an alien civilization would be a positive event with regard to the Great Filter: if aliens have survived technological development, then so might we. But what if we just find evidence of alien life? Oxford University transhumanist philosopher Nick Bostrom argues that finding fossils for independently evolved complex life on Mars would signal a dismal future for humanity. "Such a discovery would be a crushing blow," argues Bostrom. "It would be by far the worst news ever printed on a newspaper cover." Why? Because it would mean that it is highly probable that life arises frequently in the universe. In that case, since we have no evidence for extraterrestrial civilizations that would strongly imply that the Great Filter lies ahead of us, it is likely we will be winnowed out by it. Intelligent life might inevitably destroy itself by deploying apocalyptic technology: thermonuclear weapons, biotech plagues, runaway nanotechnology or other horrors we have yet to imagine. Thus Bostrom concludes, "In the search for extraterrestrial life, no news is good news. It promises a potentially great future for humanity." In other words, extraterrestrial silence is golden.